'A Very Trebuchet Christmas' celebrates the season on Saturday, Dec. 15, at Petaluma Woman's Club, 518 B St., Petaluma. 7pm. Free. trebuchetmusic.com. ABOUT FACE Trebuchet pack the minor keys away at Christmas. Petaluma indie-folk outfit Trebuchet like to spread musical cheer each winter by performing a special holiday-themed concert that's become a community tradition over the last four years. Next month, "A Very Trebuchet Christmas" returns for another free and family-friendly soirée on Dec. 15 at the Petaluma Woman's Club. 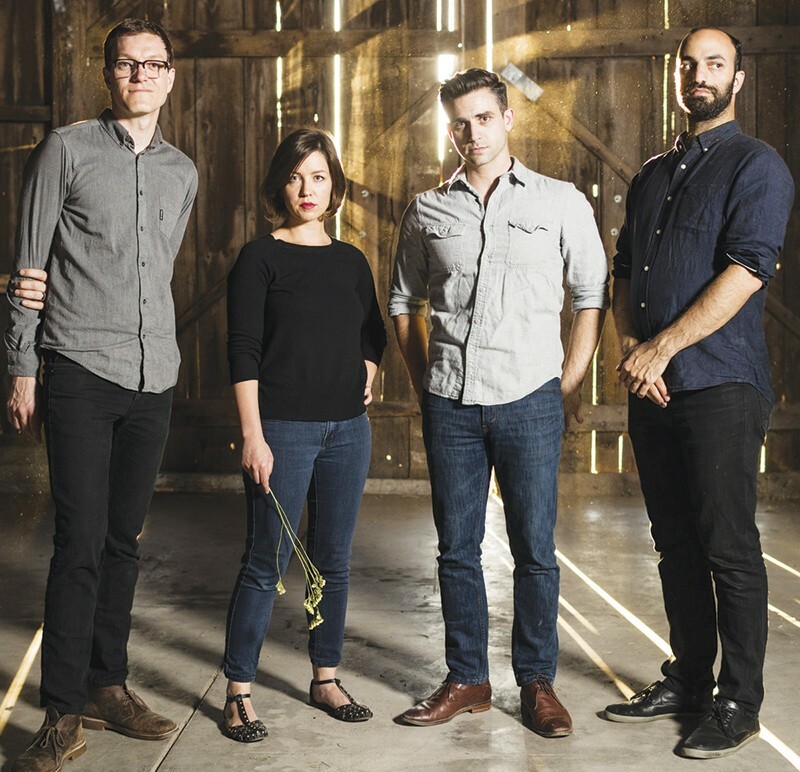 Drummer Paul Haile, keyboardist Lauren Haile, bassist Navid Manoochehri and guitarist Eliott Whitehurst are known in the North Bay scene for their often somber folk-rock melodies and emotional lyrics on albums like 2017's Volte-Face, though they revel in the merriment of the holidays. "Most of our songs are super-sad and it's fun to just make the opposite sometimes, and Christmas is a good excuse for that," says Lauren Haile. "For me personally, I feel like people dismiss Christmas as adults, and I like to lean into the spirit of it." This year, Trebuchet has also put their joy to tape, recording a full-length holiday album, Spend Your Christmas With Us, which finds the band performing eight original tunes and seven covers of classic songs like "Jingle Bells" and "Silent Night" that the group injects with three- and four-part harmonies to great effect. "When we first started doing Christmas music, we just did one song for fun," says Whitehurst. "The idea of the Christmas show came about after we would go to Volpi's [Restaurant in Petaluma] and do a sing-along." After that initial Christmas concert four years ago, the band received resounding joy from the community, and "A Very Trebuchet Christmas" has grown each year. This year's concert also features sets from local favorites like the Timothy O'Neil Band and boasts a massive holiday music sing-along that's been a staple of the show since the beginning. "People don't have a lot of opportunity to sing Christmas songs in any public capacity other than caroling, so this is a way for a big group of people of all ages to come together and celebrate," says Paul Haile. "I enjoy that it's truly an all-ages family event," says Manoochehri. "People who have toddlers aren't going to take them to a loud rock show. Well, this is like a quiet rock show about Christmas."